Online business branding is going to help your business grow and help you be seen an authority in your niche. Whether you have an online business, a work from home business, or a business of any kind, you are going to need to have your own brand. If you don’t have a brand, you need to establish a brand. That may sound daunting. 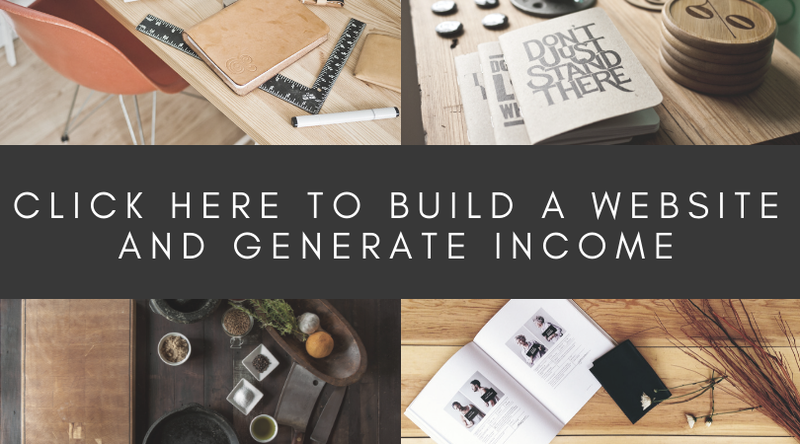 It doesn’t need to be daunting, and there are free resources as well as inexpensive resources that can help you get started. Branding helps to improve recognition and is needed to show that you are serious about your business. A brand helps to make you look professional. A professional looking brand helps to build credibility and create trust. If you are going to be advertising your business, a brand is a must. Thankfully, there are resources available that can help you with your business branding ideas and business branding design. Let’s start by taking a look at a great resource that is available for free. Canva is a really cool way to develop a free logo, and it has other resources available for your use as well. The logos available come in a range of designs and colours that you play around with, and you can add images too. There are free images available within canva, and you can also upload your own images too. Whilst you can achieve a lot without having to pay for anything, there are templates and pictures that you can purchase if you would like to. However, when you’re just starting out I would suggest that you can make do with the free resources available. Canva is very easy to use, and maybe slightly addictive because the possibilities are endless. The awesome thing about Canva is that you can create things other than logos. They have presentations, infographics, social graphics, blog banners and more. I have never made an infographic before, but with Canva it is easy. Not to mention fun! These are infographics that I can share on social media. You can create a multitude of social graphics whilst playing around with Canva. They only took a few minutes, and you can share these across all your social media platforms like Pinterest, Facebook, Webtalk and Instagram with links back to your website to really start to build an online presence.Sometimes it can be hard to post new content all the time to social media, so now and then, posting a graphic that is unique to your business, with a call to action, is a great way to keep momentum in the social media sphere. 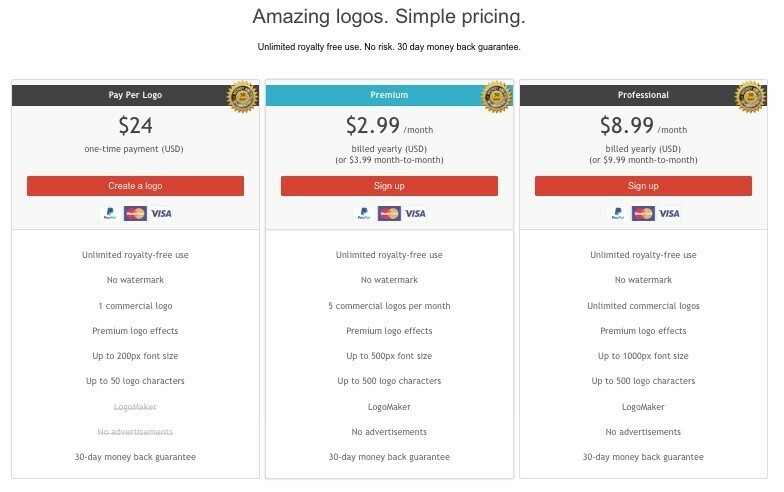 There are some great logo sites out there that do charge small fees for the creation of logos. If you do want to take your business to the next level, Logojoy offer pretty amazing logos that you help to build yourself, within minutes. You start by entering your business name and slogan (if you don’t have a slogan, don’t worry it isn’t mandatory), you choose colour palettes that appeal to you, and some images that you like. Then Logojoy produce a range of logos for you to test out. You can edit them as you like. If you don’t like them, you can start again with new colour palettes and new images until you get something you like. I generated a few within moments. The results you come up with are professional, and will save you from engaging a designer to do the work for you. You don’t pay anything up front – you only pay once you are happy with your logo. If you aren’t happy with the logo then you don’t pay anything. The price is very low if you consider what it costs to engage a designer. If you can’t find a free logo that you’re happy with, and/or you just want the peace of mind that you are purchasing a quality logo, then Logojoy is definitely the way to go. Flaming text allows you to make your own text logo. There are hundreds of designs to choose from, and you can change the colours and styles on each until you are happy with the logo you want. You can make a text logo relatively quickly. You can test it out to see if you like it before you pay for anything. You can play around with design, fonts, colours and styles. If you are going to use a flaming text logo for commercial purposes, you will need to purchase it. 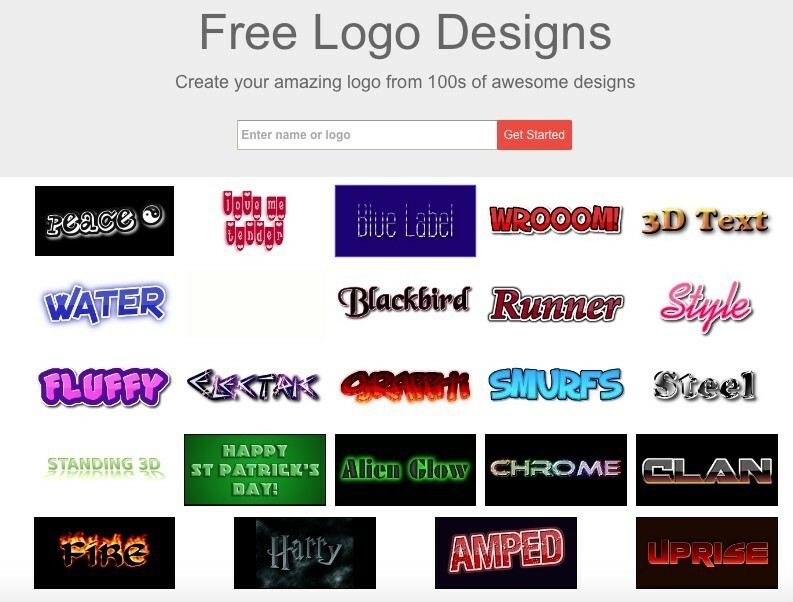 Have a go at creating your own logo. Once you have your logo, you can start to cement your business brand by sharing the logo on social media, and on any business correspondence, including email footers. All business related communications should be branded with your logo. You want people to remember your logo.